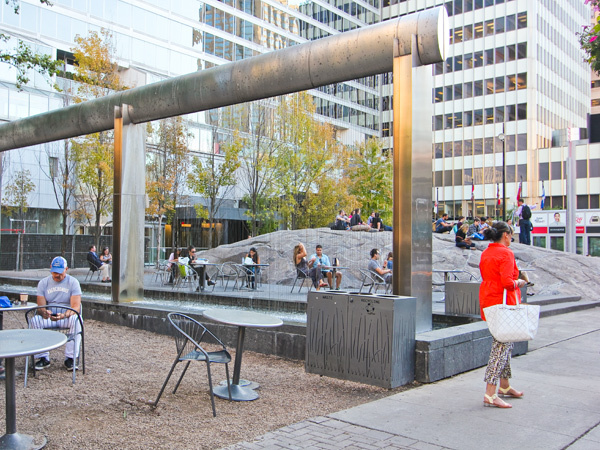 Constructed between 1992 and 1994 in the formerly bohemian Village of Yorkville, this compact park (30 x 150 meters) is situated between high-rises to its south and upscale boutiques on its north. 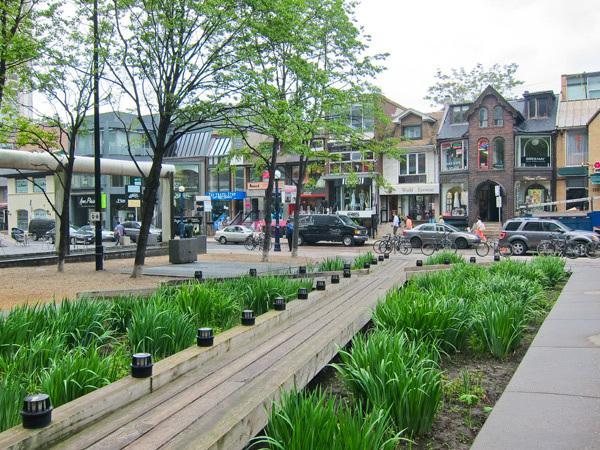 Victorian row houses formerly occupied the site, and were demolished in the 1950s to accommodate the Bloor subway line. 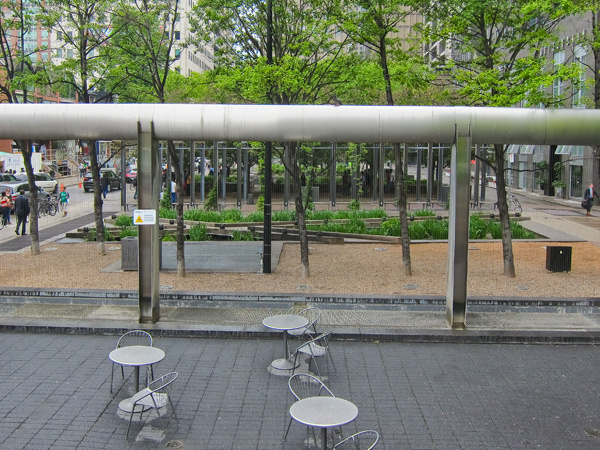 A parking lot was built atop the subway, and in the 1970s the City of Toronto agreed to replace it with a park, sponsoring an international design competition in 1991, won by Oleson Worland Architects in association with Schwartz Smith Meyer Landscape Architects and PWP Landscape Architecture. 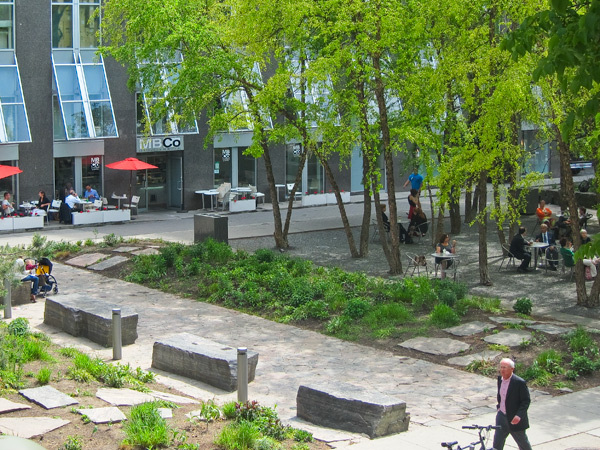 The Park is crossed by eleven distinct garden plots, whose borders trace the property lines of the demolished row houses, and whose variety—recalling the Victorian propensity for collecting and classifying— echoes the diversity of the Canadian landscape. 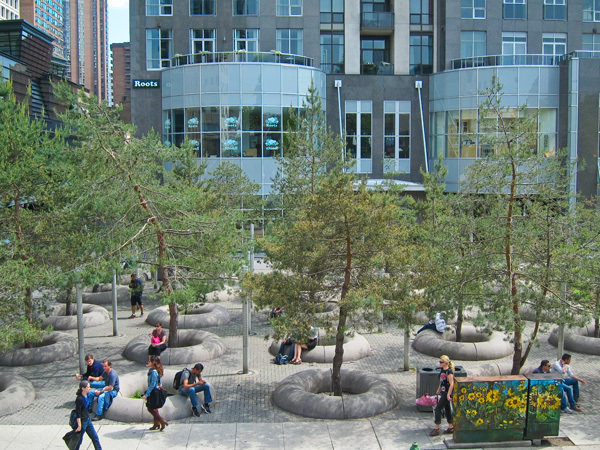 Beginning at the east, a five-by-five grid of Scots pines, each set within a doughnut-shaped seating circle, is regularly interspersed with slender lampposts doubling as fog emitters. 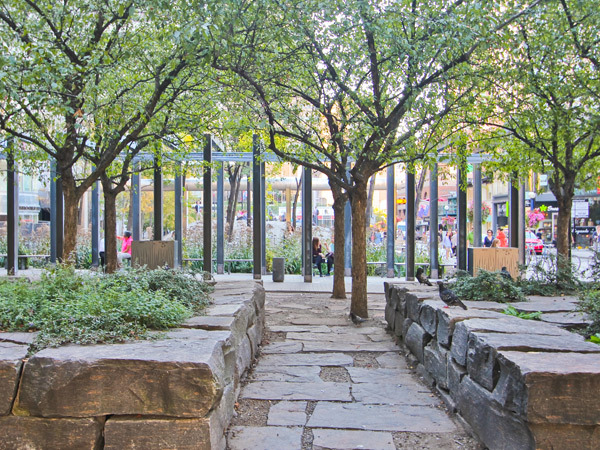 Then follows a succession of plants, surfaces, and materials: beds of wildflowers; a gravel plot with birches, movable tables and chairs; perennial herbs in natural stone planters; a crabapple orchard; a metal, vine-covered pergola; elevated boardwalks crossing a wetland garden; an alder grove; a water curtain beside a large, granite outcropping (imported from the Canadian Shield and re-assembled), rising from an elevated plaza of cobblestones; a herbaceous border garden; and finally, on the west, a strip of serviceberry trees and the entrance to the subway. 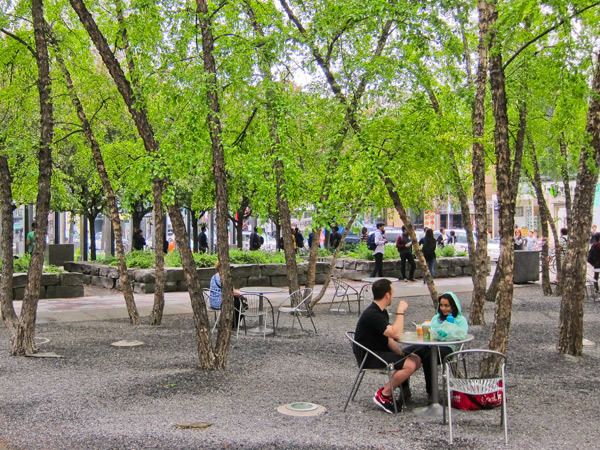 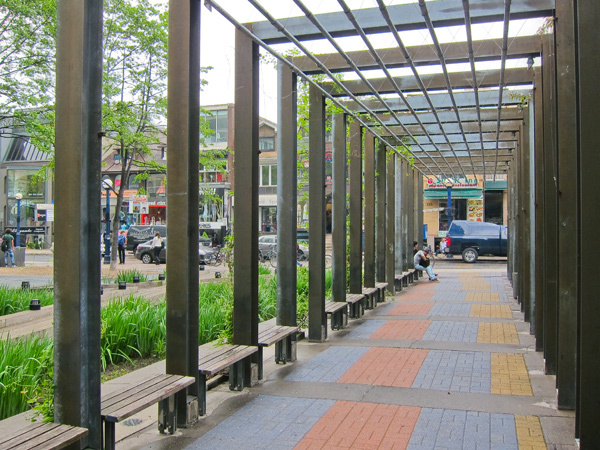 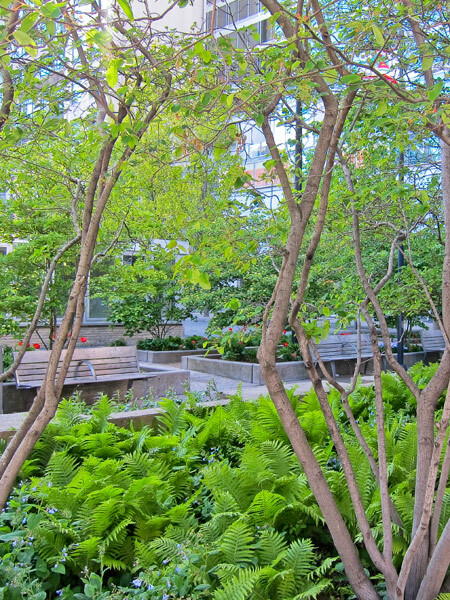 In 2012 Village of Yorkville Park won the American Society of Landscape Architects Landmark Award.